Good Grips Utensils are bendable. Spoons and fork can be bent for use with either the right or left hand. 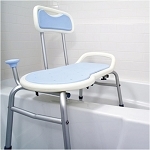 Large non slip handle cushions your grip. 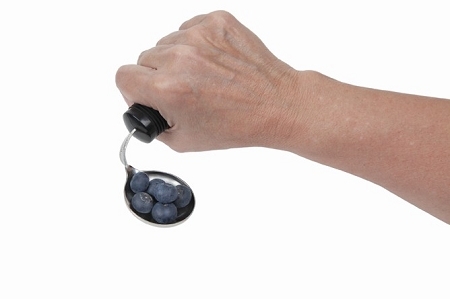 Good Grips Utensils have a soft, cushion grip that prevents the utensil from slipping in the hand - even when wet! The large, easy-to-hold handles are made of a rubber-like material, with flexible ribbing that's comfortable to hold and adapts to any grip. Each Good Grips stainless steel spoon and fork has a special twist built into the metal shaft that allows them to be adjusted to any angle. The utensil can be bent for use with either the right or left hand. 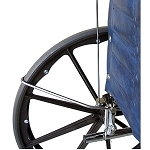 A great solution for persons who have had a stroke, weak grasp, limited arm movement, Parkinson's disease or neurological impairments. The Good Grips handle is so unique, it has a U.S. patent. Good Grips Utensils are dishwasher safe. 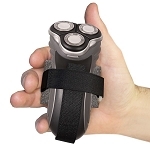 The Good Grips Rocker Knife requires only minimal arm strength for cutting. An extended safety cap protects fingers while cutting. The rounded blade measures 4 inches long. 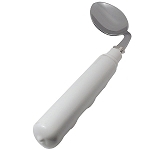 The Good Grips Souper Spoon is ideal for persons with tremors or poor hand control. 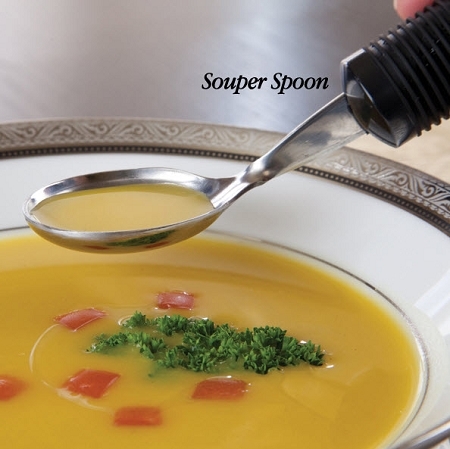 Features a specially designed 1/8 inch raised lip to prevent spills while moving the spoon toward the mouth. Good Grips Utensils are sold individually or as a set. 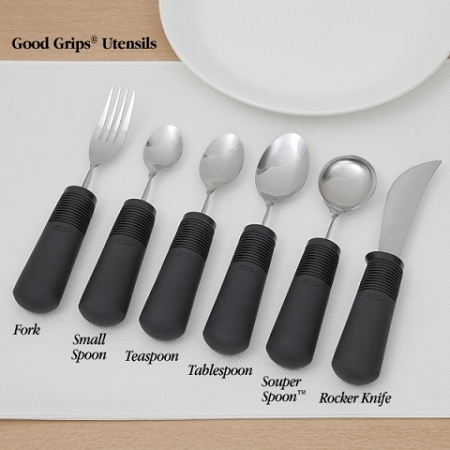 The Good Grips Utensils Set of Five includes the rocker knife, fork, tablespoon, teaspoon, and small spoon. 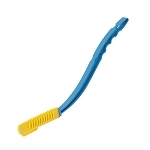 Handle Measures: 1 3/8 inch diameter, 3 1/2 inch circumference 4 1/4 inches long. Teaspoon Bowl Measures: 2 inches long, 1 1/4 inch wide, 1/4 inch deep. Tablespoon Bowl Measures: 2 1/2 inches long, 1 1/2 inches wide, 1/4 inch deep. I cannot say enough good things about this spoon. It's deepdepth preevented spilling many different food items. It was especially useful for eating peas, and also when eating rice. I purchased these because I have Parkinson's and a torn rotator cuff. I couldn't grip regular size dinner ware because they are so small in diameter. The Good Grip dinner ware is so easy for me to hold, they made eating a pleasure again. We purchased all 5 of these utensils with the exception of the souper spoon, which we may also order. 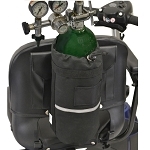 They have been very helpful for my wife who is suffering from Parkinson's. She has limited fine motor skills which prevent her from turning a fork or spoon after she lifts it from the plate. I have bent her new utensils at about a 40 degree angle which enables her to feed herself much more easily. She does not presently need the large rubber handles so we would prefer they were not so big, but they still work well for her. Q: What is the weight of each utensil ? A: Typically, the weighted utensils are close to 1/2 lb (0.45) and the un-weighted utensils around 1/4 lb (0.25). Q: is the 5 set utensil already the fork, teaspoon, tablespoon , knife etc. I tried to pick each one but it wouldn't take the whole 5. A: Please select the set option. Set of 5 is an option in the drop down box. Q: Are these utensils sold individually or as a group? A: Both individually and as a set of 3 or 5. A: Weight: Knife 3 ounces, Fork 2 ounces, Spoon 2.5 ounces. Q: Do the handles have a rubbery smell? A: When they are first opened from the packaging they may have a rubber smell. Be sure to wash them before use. They are dishwasher safe. Q: It doesn't say if they are light weight or heavy weight? My daughter-in-law has ALS and needs light weight utensils. A: Weight: Knife 3 ounces, Fork 2 ounces, Spoon 2.5 ounces. Typically, the weighted utensils are close to 1/2 lb (0.45) and the un-weighted utensils around 1/4 lb (0.25). Q: Are these weighted or light weight? A: These are non weighted. Q: Is it weighted or non-weighted? A: These are the non weighted. Q: Is this the non-weighted version? Q: Which utensils does the "set of 5" include? A: The Good Grips Utensils Set of Five includes the rocker knife, fork, tablespoon, teaspoon, and small spoon.